Chronic neck pain enslaves patients in lasting misery and is statistically one of the hardest health issues to fully and permanently resolve. Chronic symptoms endure long past their clinical expectation and might even torment a victim for a lifetime. 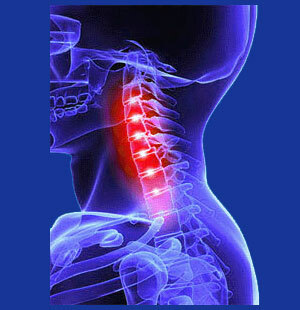 There is no condition known for being more prone to turn chronic than dorsalgia in the neck or back. I hold a special place in my heart for people with chronic pain, since this is also the type of suffering I have endured for decades already. It takes being in pain 24/7 to truly understand what it is like to try and live a normal life with such a terrible burden to bear. This discussion will focus on some possible reasons why pain may turn chronic and what patients might expect when seeking care for lasting and severe discomfort. Chronic simply means long lasting. However, this is a very subjective definition. Pain from a minor injury might be considered chronic if it lasts for a few weeks. Pain from a more significant trauma may endure for a few months. Neck pain due to disease or surgery may be considered chronic if it hangs around for a year. How about patients who have pain for years or even decades? Now this is the truest definition of chronic symptoms. This is unfortunately also the most common reason why patients turn to websites, such as this one, looking for answers. Most of these patients have sought a diversity of treatments, often many times over, but are still in horrific pain which has baffled doctors, frustrated the patient and transformed life into a torturous journey. For the purposes of this article, we will define chronic pain as symptoms lasting for more than one year and having no expectation for resolution within a known timeframe. By nature, chronic pain is rarely the result of purely physical structural factors. The body is designed with one main imperative and that is to heal. It is actually miraculous what the body can accomplish in terms of healing, once it is given opportunity. Chronic pain is often a combination of mind and body factors working together, although this is not an absolute rule by any means. Some people truly only have anatomical contributors to their pain. Meanwhile, at least as many, if not more, have purely psychoemotional causes responsible for chronic symptoms, regardless of where these pains exist. Physical reasons for chronic symptoms include nerve damage, disease, catastrophic injury, congenital conditions, developmental abnormalities and other factors. However, just because any of these sources exist in a given patient does not mean that they are inherently responsible for the pain. Psychoemotional reasons for pain include the classic primary and secondary gain explanations detailed throughout The Cure Back Pain Network of websites. These factors may be wholly or partially responsible for causing symptoms in patients with and without possible physical symptom generators. Remember, the mind and body interact nonstop, causing all conditions of disease and health we often blame on outside factors in our lives. This is not only proven scientific fact, but is also a sensible explanation for why some psychological therapies work so well to resolve seemingly physical pain syndromes, like TMS. First, we have the loneliness. There is nothing worse than feeling so alone with your pain and being misunderstood by people who are lucky enough to be spared from such suffering. You are not alone. In fact, you are among legions of kindred souls. Never forget this. Second, there is the symptomatic treatment trap which enslaves so many of us. Patients lose hope for a cure and rely on purely symptom-based care, often at great risk to their health. Some methods, such as chiropractic and massage, encourage wellness, while others, such as pharmaceutical treatment, can cause more harm than good. Be very careful using any type of drug therapy, especially those geared towards pain management. Finally, always keep in mind that the power to influence your pain already resides within you. You may or may not be able to channel it to cure yourself, but you can almost certainly use your inner voice to minimize symptoms and their effects on your life. This can make the torment much easier to bear and returns many patients back to active lives, despite their pain. Chronic pain anywhere in the body is a tremendous burden to bear. We help with tips for chronic pain sufferers on our resource Chronic Pain Coach.